Nearly 2 years ago, I upgraded a client's system from EPM 11.1.2.1 to 11.1.2.4. This client had some very clever automation that used the EPMA Batch Client and wrapper code to read records from a relational database and pump metadata updates into EPMA. If you're in the same boat and have hit the same bug, here is the fix! While reading your relational database or input file for parent/child members to insert into EPMA (because you either don't own a license for Oracle DRM or choose not to use it for this purpose), you need to run these 3 SQL queries against your EPMA database before you add the CREATE MEMBER command to your EPMA batch command script. 1. 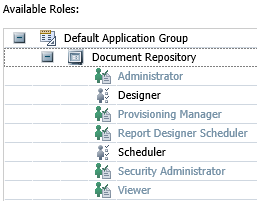 Check if the 'thechild' already exists within EPMA in 'thedimension'. 2. For each i_member_id returned by the above query, check if 'theparent' exists.